I've been feeling pretty good this week. Not to stressed like I have been the past few weeks. On Thursday I felt a lot more tired than usual but it may be because I didn't move around so much and I haven't had brilliant sleep all week either, aswell as the early wake up calls. I am feeling a lot more prepared this past week as I have been given many clothes for Baby boy. He is so spoilt! I have received some exciting e-mails and I am now crossing my fingers (and everywhere else!). 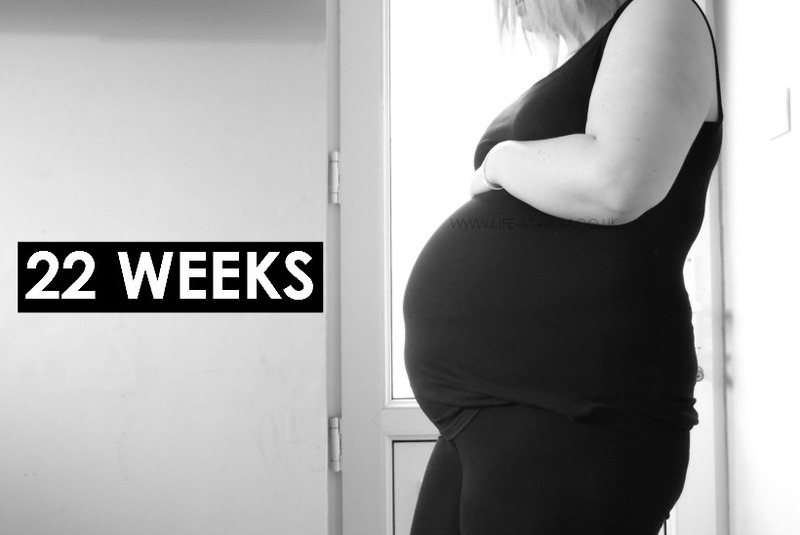 The only time I remember being a bit sad this week is with the midwife appointment and my current situation with Obstetric Cholestasis, which you can read more about, below. So I think this week has been a pretty good week. My only appointment this week was my normal blood tests. 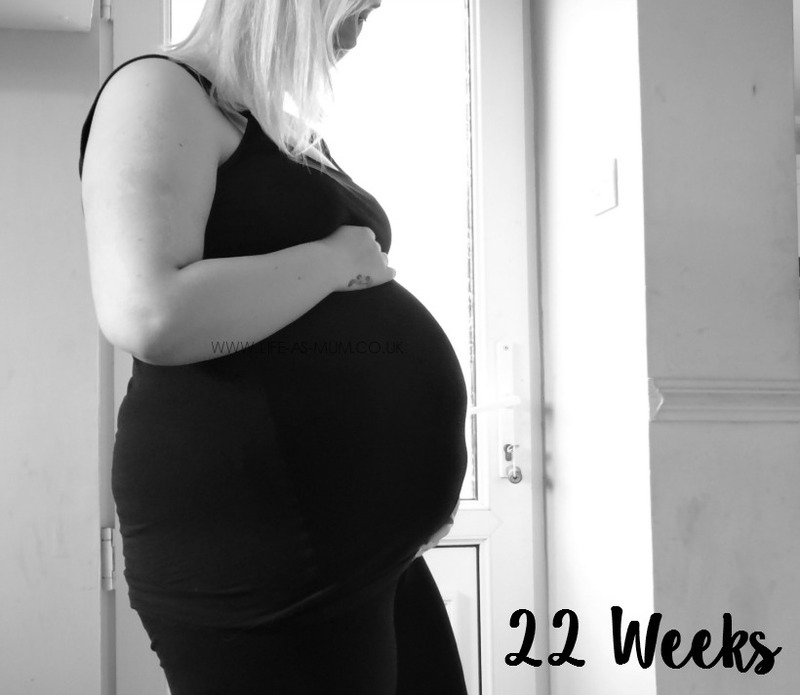 You may have read my 21 week pregnancy update saying I now need to take weekly bloods done. There was a different midwife in this week and she was lovely. I even got to hear Baby boy's heartbeat. The most lovely thing was, I was able to share that experience with my youngest daughter, Elliw. She was over the moon listening to his little hear beating away. I thought I would start writing about how the girls feel each week. The girls have done many adorable things this week. I have heard them both talking about their baby brother to eachother which made me smile so much. One evening Mia came up to me and stroked my bump and gave bump a kiss before she went to bed. Elliw has also done the same a different day. It's so lovely that they are at an age where they will both show how they truly feel about Baby. Baby boy is getting very spoilt with the amount of clothes he has at the moment. I do need to properly sort them all out before putting away in a wardrobe (when we buy one!). He has been kicking around a lot and I have been feeling very different movements this week too, they can be pretty painful. His kicks are becoming stronger each week now. One night he actually kept me awake for a bit during the night because my bump had gone so hard and I couldn't move, it hurt too much. I think he was lying up against my tummy and it was aching me so bad. I get a bit of pains on my legs some days. My breasts are still quite itchy and sensitive sometimes too! Which can be pretty annoying. The not so nice bit is that I am suffering badly with constipation. I can't remember it lasting this long with the girls. It makes me really ill, so ill I literally can not move. I am still fussy with certain foods but not as bad as I used to be. I actually ate much better this week and I went to Slimming World Wednesday evening and I have lost half a pound! In total I have gained 10lbs in this pregnancy which isn't bad I guess. Especially if I compare to my previous pregnancies. I am determined to try and get back to pre-pregnancy weight when baby is born. We will see. I suffered with constipation too during pregnancies. It's awful and leaves you feeling pretty poop (excuse the pun) I hope it eases soon. Your bump is growing beautifully. Hope your next week goes smoothly as far as OC is concerned lovely. It's so nice that your little ones are excited and involved with your tiny man through your pregnancy. I bet they can't wait. It is so sweet seeing young children getting excited about a new sibling. When my daughter was born we introduced her to her cousin (then 3). He said "hello baby" and waited. When the baby didn't respond he said "she's rude!" That is rubbish about having to wait for these results, however it is lovely to hear your girls getting excited about their baby brother! They will love him so much. Love reading these updates, such a great way to remember. I hope you've managed more sleep this week and your symptoms have alleviated themselves.